Gold plunged to its lowest level in five years on Monday, triggered by heavy selling overnight and signs Chinese demand may be weaker than expected. Prices plunged by as much as $40 an ounce in minutes when Asian markets began trading around 9.30 pm ET on Sunday, before stabilizing in European trade. By 9.15 am ET, the metal was down about 2% at $1,110, having dived below $1,100 -- a level not seen since 2010. FXTM chief market analyst Jameel Ahmad said the plunge below $1,100 was a "huge psychological move," and could signal more falls to come if gold ended the day that weak. Gold bugs have been scared off recently by expectations that the Federal Reserve will hike interest rates for the first time in nearly a decade. That has boosted the dollar, which is up 8.5% against a basket of six major currencies this year. That in turn puts pressure on commodities like gold as it makes them more expensive to holders of other currencies. Other dollar-denominated metals also fell Monday, with platinum shedding 2%. Fed chair Janet Yellen again hinted that a rate rise is likely this year when she addressed Congress last week. Rates were slashed to near zero during the financial crisis, and markets haven't seen a rate increase since June 2006. 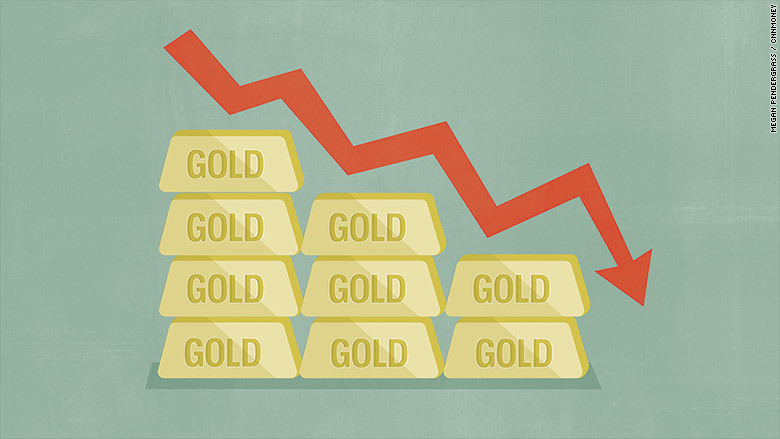 Analysts said expectations of higher U.S. interest rates made for a bearish outlook, but Monday's sell-off appears to have been sparked by news that China has been stockpiling gold reserves at a slower pace than previously thought. The world's largest gold producer increased its gold reserves by 604 metric tons over the past six years, according to data from the People's Bank of China. FXTM's Ahmad said reports that China's reserves were lower than expected hit investor sentiment when it was already fragile. "The news from China has installed further sudden downside momentum," he said. 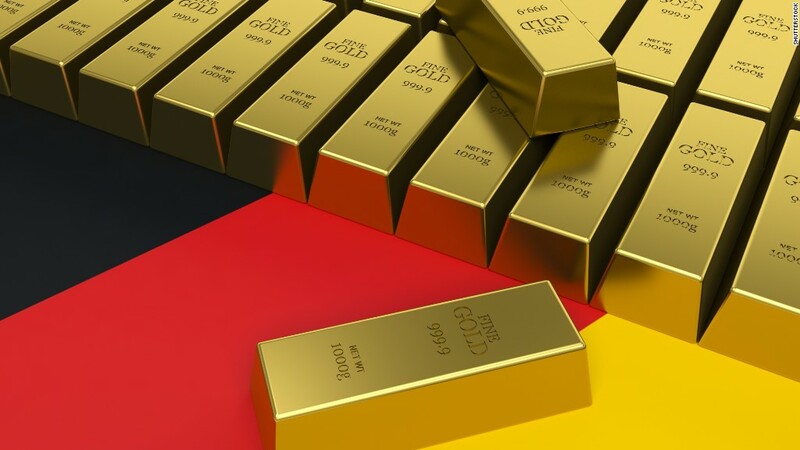 Strategists at UBS said while China has been adding to its gold stores, the proportion of gold to total foreign currency reserves is still small at 1.6%. China has historically been tight-lipped about its gold stocks. UBS said the country has only updated the market four times over the past 15 years. That's changing: China plans to boost transparency by reporting on its reserves more frequently, as it pushes play a bigger in global financial markets. Related: China GDP: Is it cooking the books? -- Wayne Chang in Hong Kong contributed to this report.